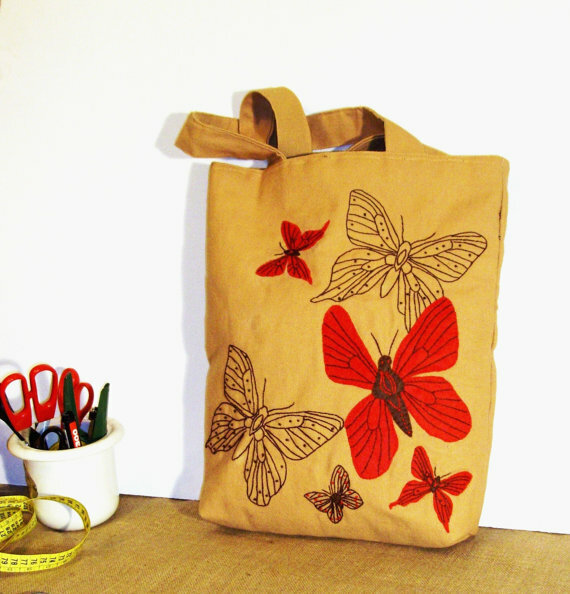 The bag is lined with capitone fabric and interfacing was used to give the bag some structure and stability, making it very sturdy for daily wear.. 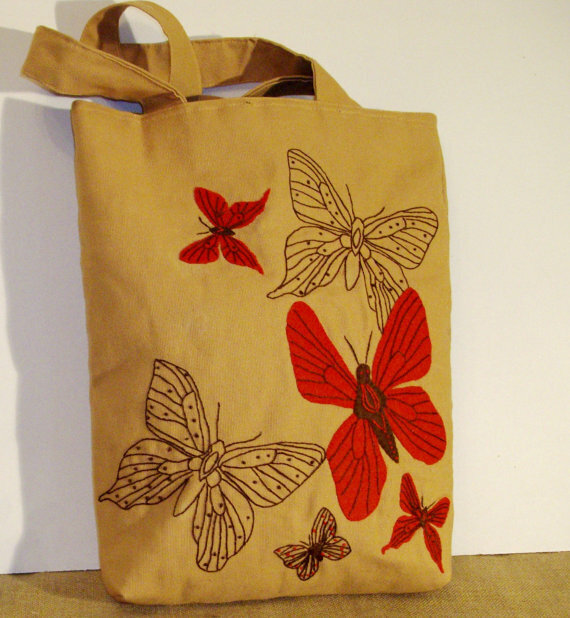 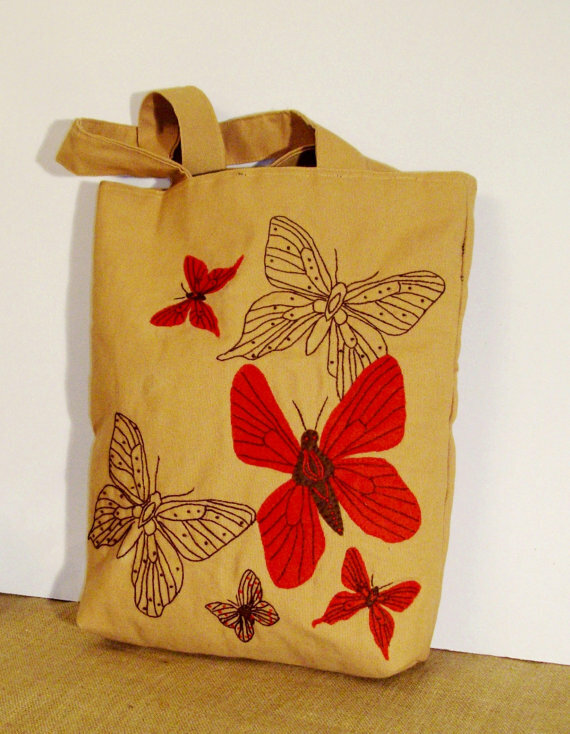 The butterflies are embroiderer with brown embroidery floss. 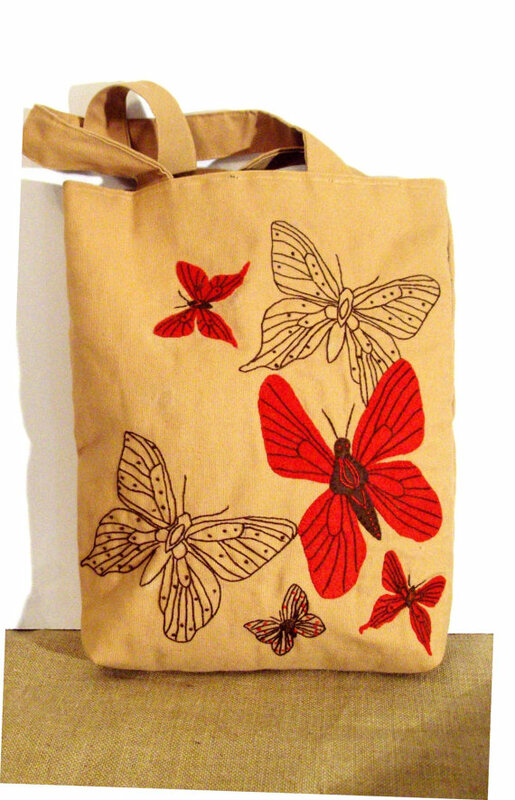 All pieces are exclusively 100% handmade by me in my home studio in Athens without any assistants.